Nothing can run a parent more ragged than a tiresome, bored toddler on a cold and wet day. Never fear, I’ve scoured the internet for ten toddler friendly activities to tuck away in your rainy day entertainment arsenal. Come see! First cab off the rank, I give you Mr Printables Flubber. 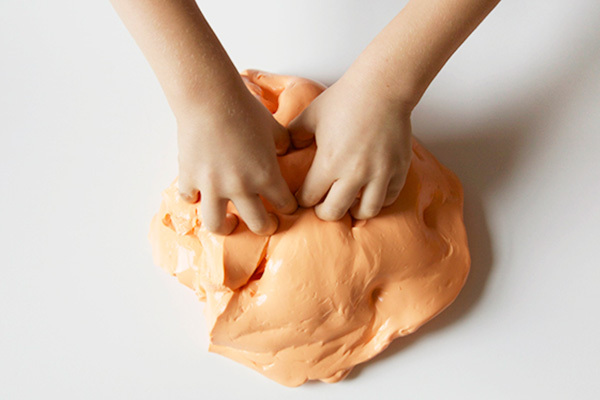 Not to be mistaken with ordinary ol’ play dough, Flubber is a barrel of fun – it’s both gooey, yet firm, squishy and yes, you can totally make things with it. 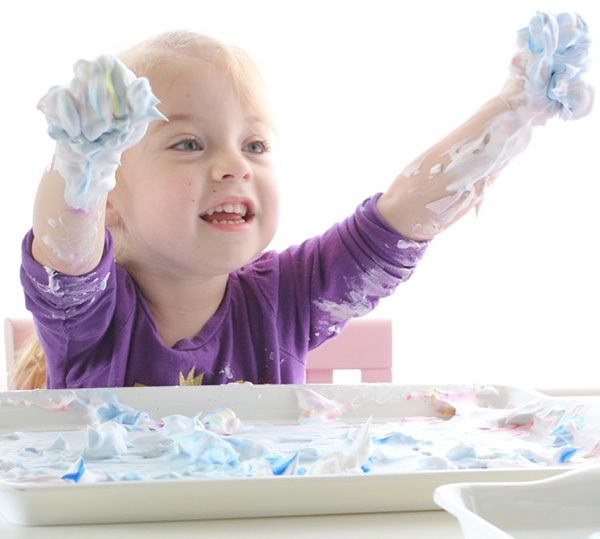 Who knew just how much fun a simple can of shaving cream can be. Head to Avery and Austin blog to see how to colour it and get busy getting messy. Berry Sweet Baby reminds us not to underestimate the power of a cardboard box. You might be surprised just how long a colouring box will keep a little person entertained. 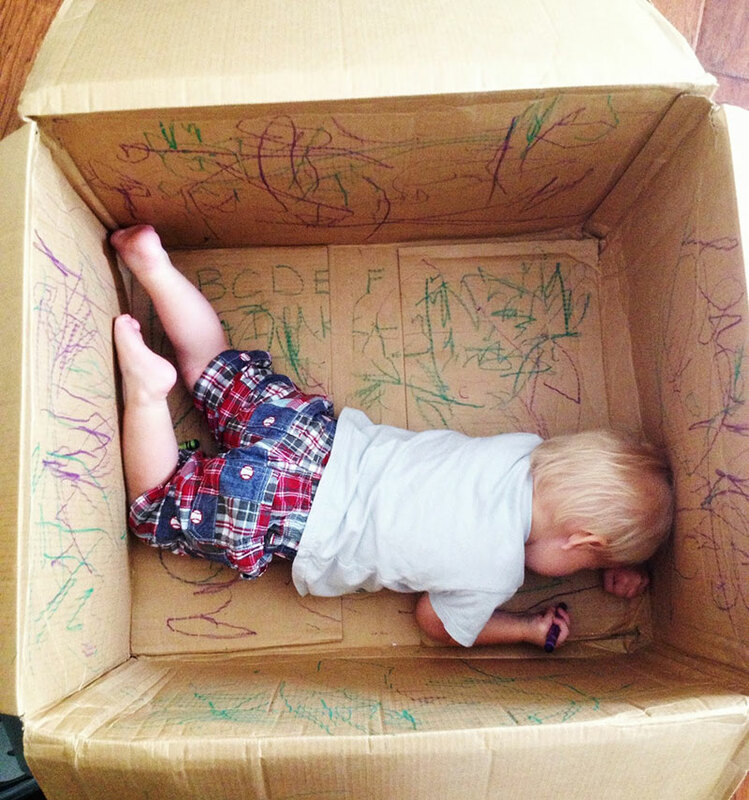 Find a large box and fill it with your tot, a safe washable crayon or two and watch him get busy. Crafting macaroni necklaces is a fantastic way to wile away an afternoon. 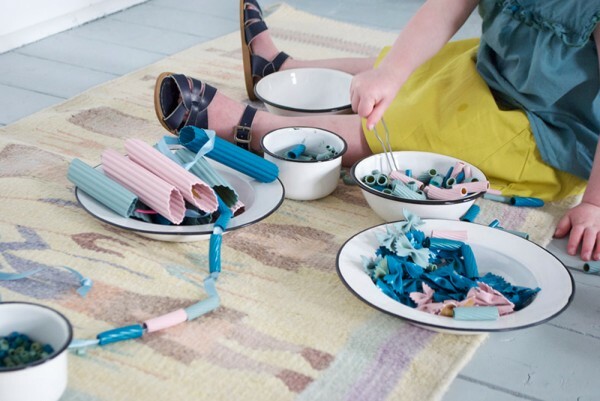 Take a leaf out of Mer Mag’s book and have the kids paint the macaroni before stringing it together. 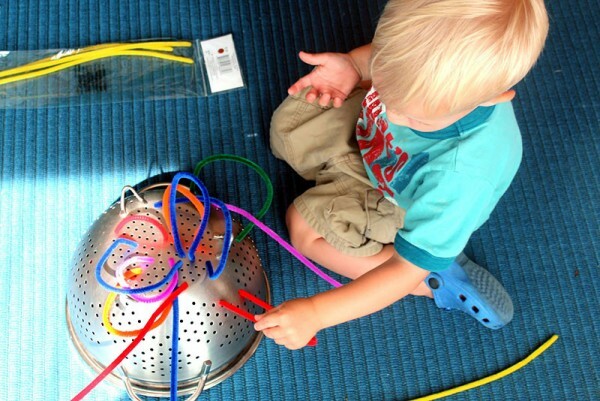 An easy one to pull out at a moments notice is a packet of pipe cleaners and your kitchen colander as seen at See Mommy Doing blog. Show your youngster how to push the pipe cleaner through the holes and leave them to it. 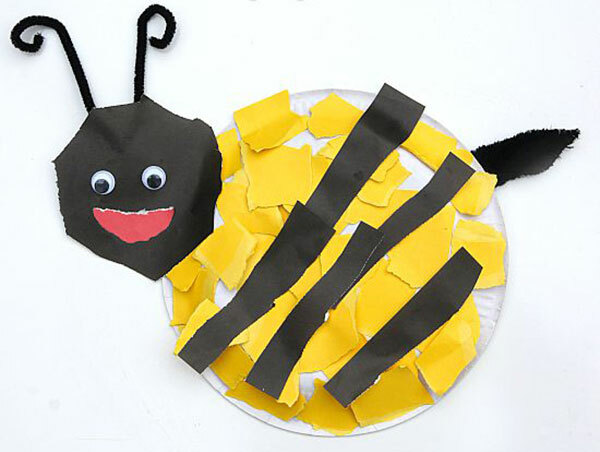 Keep kids busy as a bee making their very own busy bee from paper plates. Head to Laughing Kids Learn for the full tutorial. 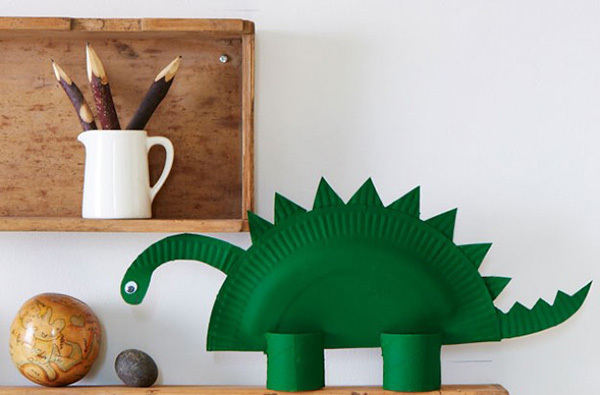 Speaking of paper plates, dinosaur fans will get a kick out of making their very own paper dinosaur from household items. Good To Know blog shows you how. 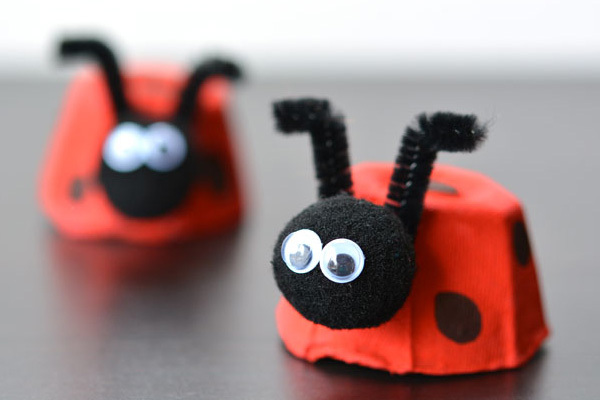 One empty egg carton could potentially be a family of 12 ladybirds with this tutorial from One Little Project. Fort building is always lots of fun. 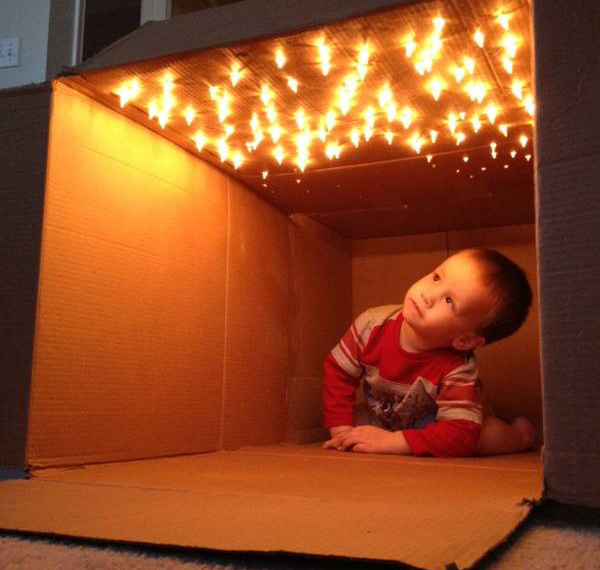 If you have boxes, use them – you can even adorn it with fairy lights, Life As Mama-style or simply throw a large sheet over the dining table and put a pile of toys and books underneath for an instant cubby. Want to paint but have no paint brushes? No problem. 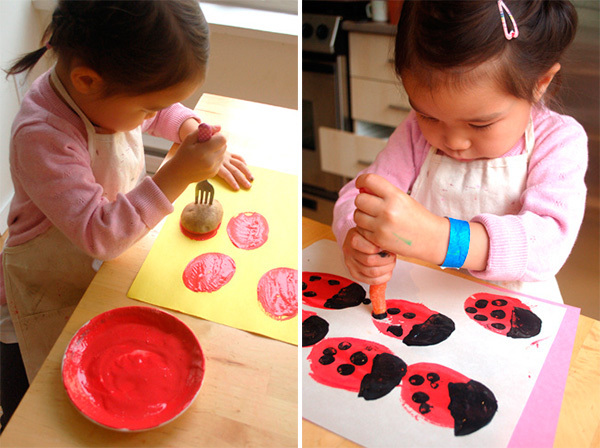 Lovely Design blog shows us how to paint bugs with vegetables! There you have it folks, a bunch of ideas to get you through a rainy day. Remember if all else fails, just throw the plasticware and saucepan cupboards open and admit defeat!